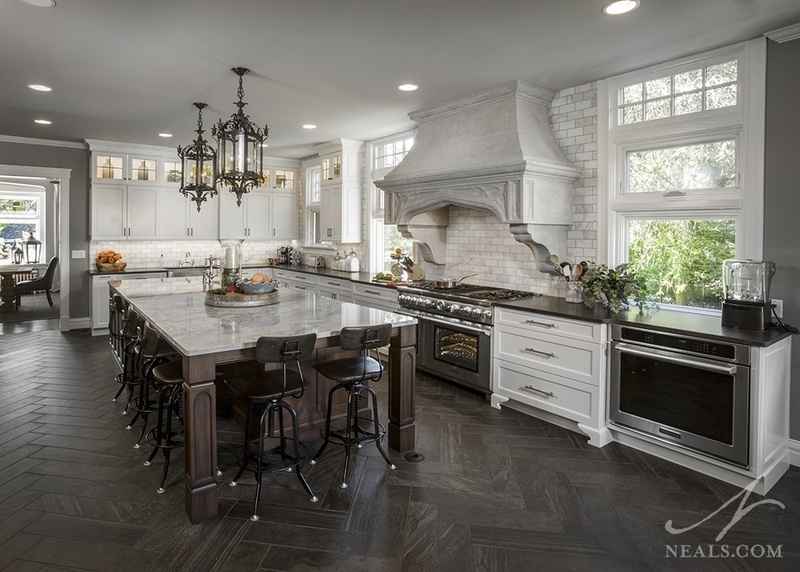 As kitchen design professionals, we like to pause each year to assess the recent trends in the Cincinnati area kitchens we created, and take note of those that look to have some staying power into the next several months. 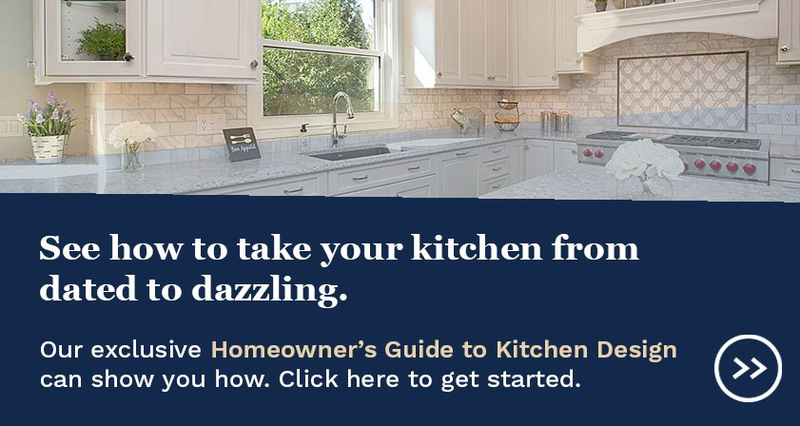 This year, we see a continuation of many of the design trends we've been seeing, as well as a few new Cincinnati kitchen design trends that reflect the modern sensibilities of today's homeowners. We've selected the top five we expect to continue seeing this year. 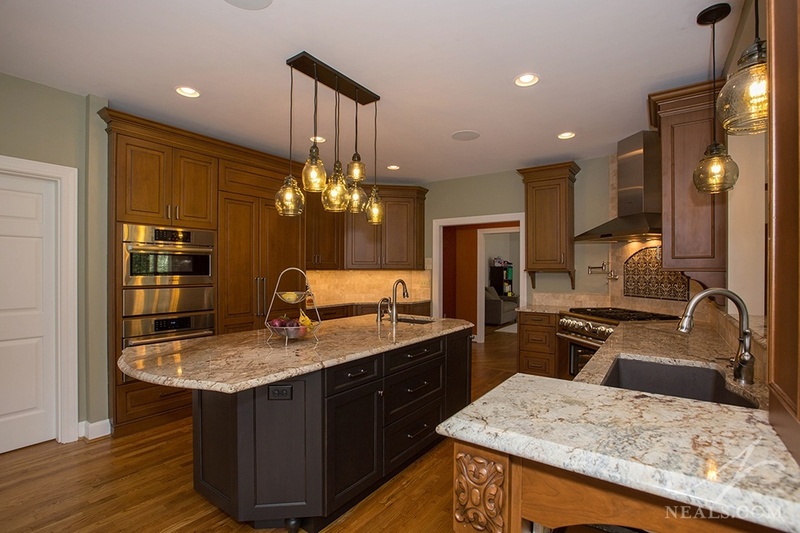 See more photos from this Indian Hill remodel. We've talked about this trend in the past, and it's a design choice that is just getting better with time. In the majority of cases, we're seeing this color pairing occur between the perimeter cabinets and the island. In other cases, one color is selected for the upper cabinets, and another for lower cabinets. The result, in any case, is a kitchen that has more visual interest because the two colors, either two neutrals or a neutral and a painted color, play off of each other to create more depth to the backdrop. We're seeing white paired with a gray or blue (above), or any variety of warm brown paired with white (below). 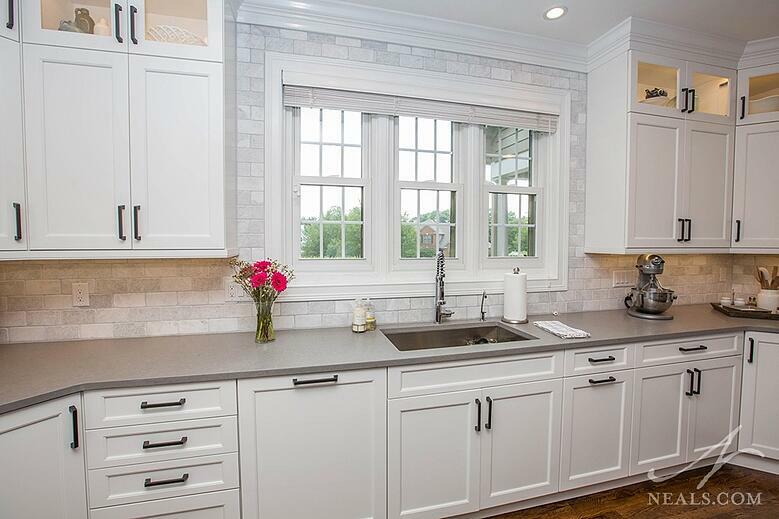 See more of this Mason kitchen remodel. 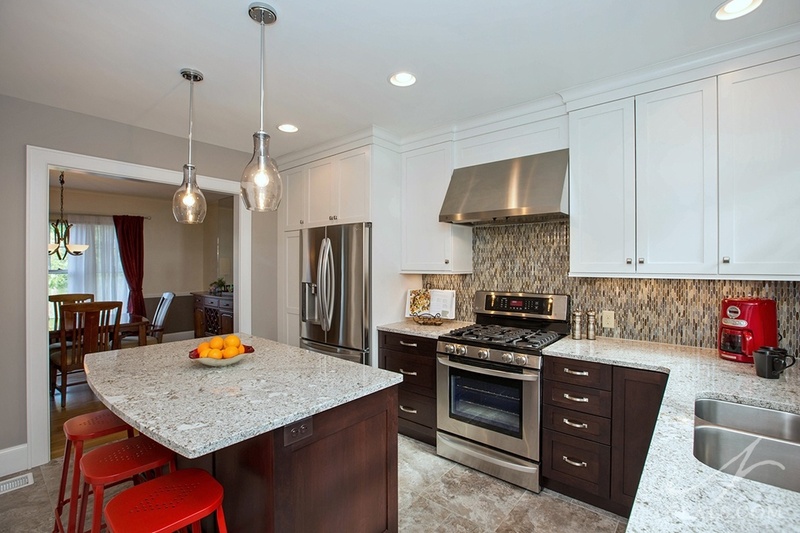 Finding the space to make the kitchen bigger is a goal for many homeowners. The top reason for this is to accommodate a larger, more functional island. We're seeing now that these islands are growing to fill in the space as much as they reasonable can. In several of these cases, it isn't always to give space to a sink or cooktop. Instead, having that large, open counter, accessible from all sides, is a great feature for a kitchen that functions as a party hub, or as the after-school family hangout. 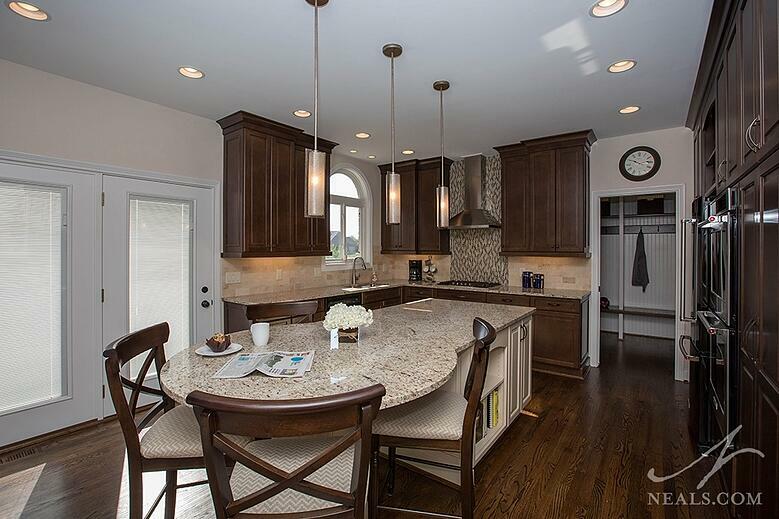 See more photos of this Hyde Park kitchen remodel. Whether it's included for a bit of contrast (see trend #1), or as the dominate color, we're seeing that white is still a trend that Cincinnati homeowners are enjoying in their kitchens. While the love of white in the kitchen may soon be overtaken by warm wood, the fact is that white has almost always had a place in the kitchens of the modern world. Classic, clean, and able to handle the colors of everyday life, we don't anticipate that white is likely to be banished from the kitchen any time soon. 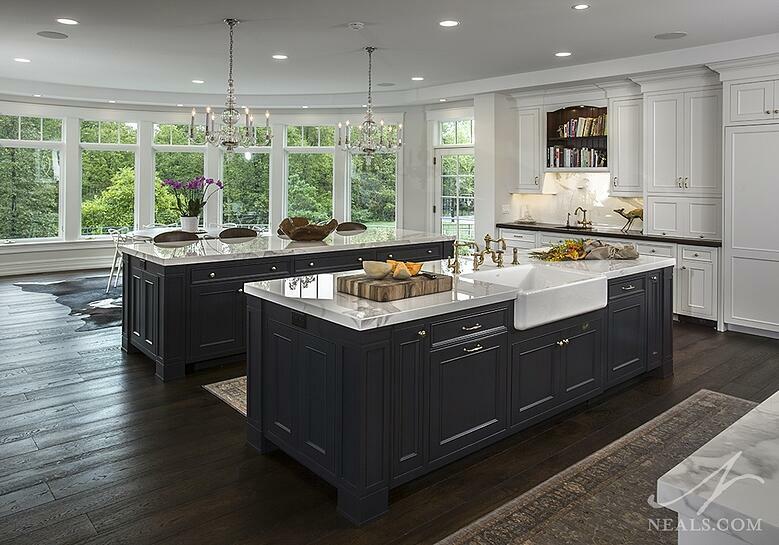 With all these new, large islands, we're seeing an uptick in homeowner's looking for eye-catching, interesting lighting to hang over the counters. Lighting design, in general, has expanded in recent years as designers get a better handle on the variety of light bulb types on the market, and the distinct qualities of each. Whether your tastes run traditional, contemporary, or anywhere in between, there are plenty of kitchen pendant lights to chose from that are anything but ordinary. See more from this Western Hills whole house renovation. The kitchen has long served as the hub of the home. A place for the family to gather during their daily routines, as well as a room that seems to always beckon guests during parties, the kitchen needs to be more than just a place to prepare food and do the dishes. We've been noticing a rise in the number of kitchen remodels that put seating as a priority. In many cases, it's the inclusion of chairs at the island, but we've also seen that the old-fashioned kitchen table is still going strong. It seems that if including people in the kitchen is a current trend, making sure they are comfortable there is a design choice that makes a lot of sense. See more photos from this Hyde Park kitchen project.